Mushrooms are amazing. 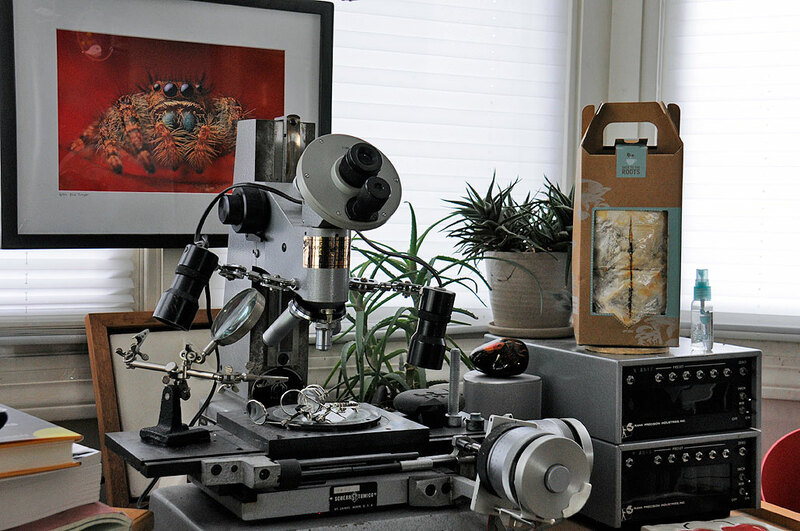 They are fascinating to photographers, biologists, and cooks the world over. As we are interested in photography, science, and food, we have found mushrooms to be absolutely captivating. One of our earliest memories of mushrooms is in the episode of The Twilight Zone where aliens invaded Earth in the form of mushrooms. They would take over the minds of the people who ate them. Of course, what makes for fun television bears little resemblance to reality (except, of course, if you eat the wrong ones). 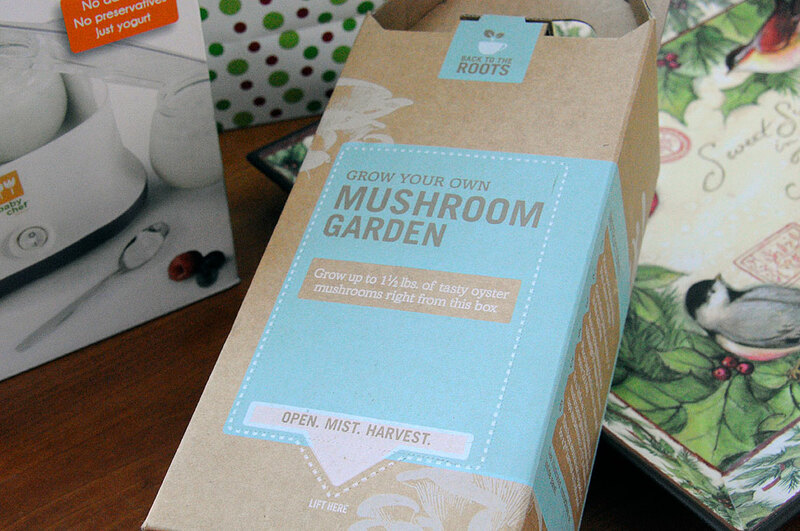 Still, that was the first thought which came to mind when we heard about the “Grow Your Own Mushroom Garden” kits from the folks at Back To The Roots. We have seen mushrooms popping up in the RainyDayGarden after a rainstorm and have always been intrigued by how quickly they can show up. However, as we know nothing about wild mushrooms, we would never consider eating them. So when we learned about a ready-to-grow kit available for cultivating oyster mushrooms at home, we knew we had to check it out. The kit is the brainchild of Alejandro Velez and Nikhil Arora. The genius of Alejandro and Nikhil’s approach is they use recycled coffee grounds for the mushroom’s growth medium. A single box can yield a couple of crops (over a pound and a half) of pearl oyster mushrooms. Starting the mushroom garden could not have been any easier: cut open the box(directions behind the panel), cut open the plastic, immerse in water, let it sit overnight, and that’s it for the prep! We placed our kit near the window, away from any drafts, and in full view so we can observe its progress. The only tending required is misting the bag twice a day to keep the humidity sufficient to stimulate the mushroom spore to do their thing. If everything is good, then we should see some action in about 10-15 days. If the idea of growing your own fresh mushrooms is attractive to you, then order one of these kits and try it for yourselves. We will have updates of our progress over the course of the month. We hope there will be “fungus among us” soon!